Get a scalable equipment rental system that will increase your website's conversion rate and enhance performance. 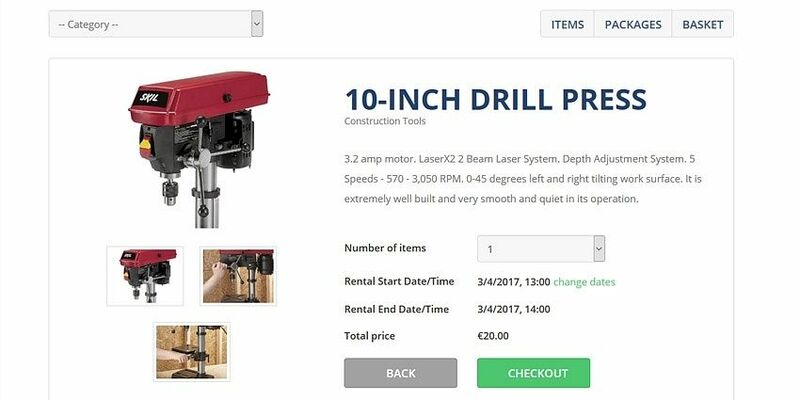 Manage your own e-commerce platform for renting all kinds of equipment - outdoor equipment, sports equipment, construction tools, etc. 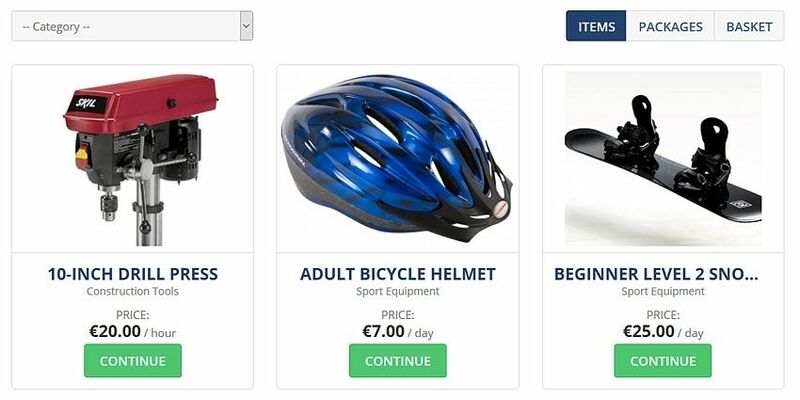 Organize and present your equipment inventory in categories and packages to help customers find the desired product quickly and easily. 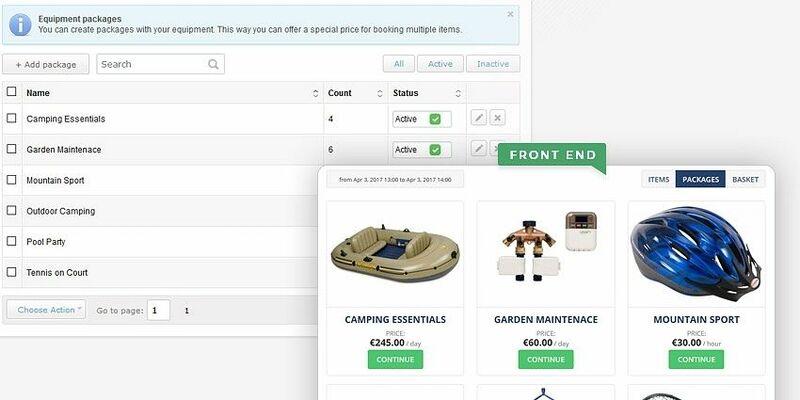 Turn your catalog into an intuitive ecommerce platform for renting tools online by customizing your booking and payment settings. Create packages and rent out tools in bundles. For example, if someone is having an outdoor party, enable them to rent all equipment they would need. Charge your customers on a daily or hourly basis for the equipment they want to rent. 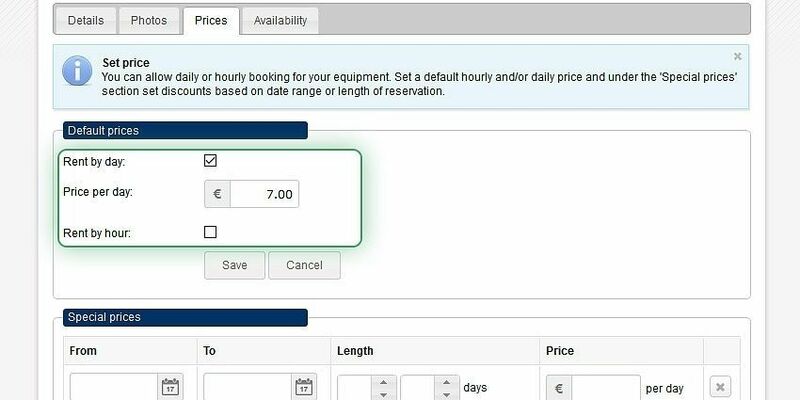 Set default and special prices for a predefined period of time for each tool. Offer additional delivery and collection services. 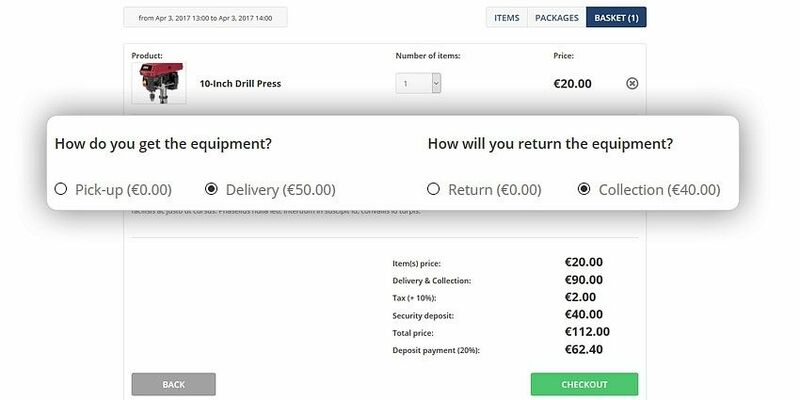 Your clients will be able to choose the delivery and collection method during the checkout. 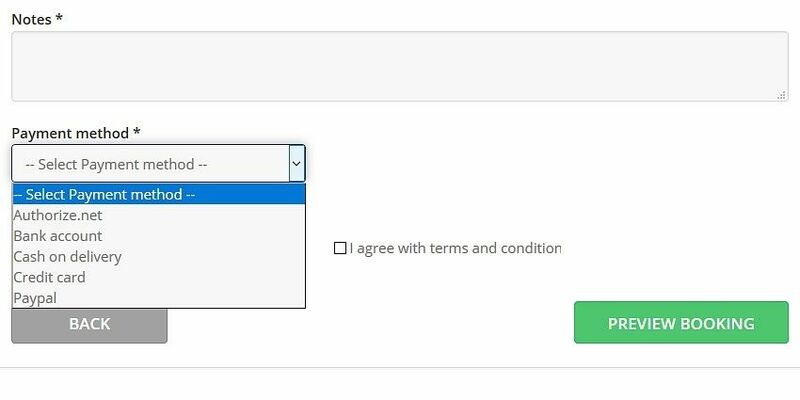 Enable clients to pay online using PayPal, Authorize.Net or any other payment gateway. Allow wire transfers, CC payments and cash on delivery.